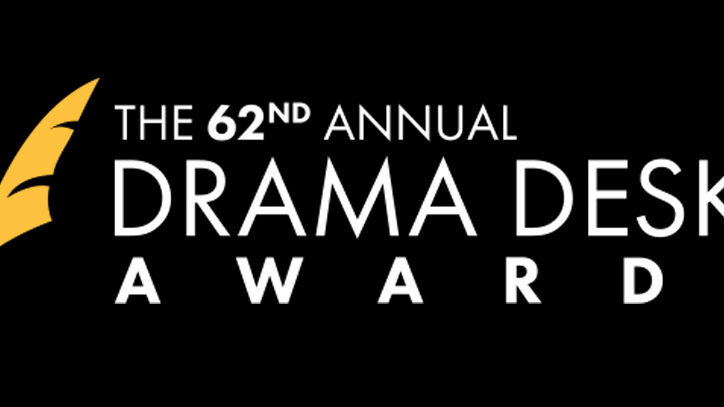 At 10 AM (EST) today, the 62nd Annual Drama Desk Award nominations were announced at Feinstein’s/54 Below. Presented by the Drama Desk Organization, the honors recognize excellence in Broadway, Off-Broadway, and Off-Off-Broadway theatre. This year’s awards will be presented on June 4th, 2017. Vying for the Outstanding Musical honor are Anastasia, The Band’s Visit, Come From Away, Hadestown, and The Lightening Thief. Outstanding Play nods include If I Forget, Indecent, A Life, Oslo, and Sweat. Revival of a Musical contenders are Falsettos, Hello, Dolly!, Sweeney Todd: The Demon Barber of Fleet Street, Sweet Charity, and Tick, Tick…BOOM! Revival of a Play is represented by The Front Page, The Hairy Ape, Jitney, The Little Foxes, “Master Harold”…and the Boys, and Picnic. In the musical acting categories, Patti LuPone and Christine Ebersole scored nominations for War Paint, Sutton Foster for Sweet Charity, Laura Osnes for Bandstand, Christy Altomare for Anastasia, and Bette Midler for Hello, Dolly!. For the men, Nick Blaemire (Tick, Tick…BOOM! 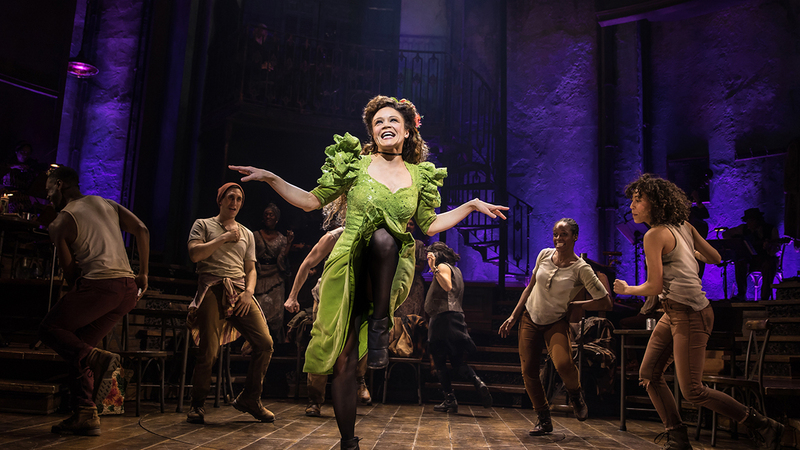 ), Jon Jon Briones (Miss Saigon), Nick Cordero (A Bronx Tale), Andy Karl (Groundhog Day), and Jeremy Secomb (Sweeney Todd: The Demon Barber of Fleet Street) were all recognized. Cate Blanchett (The Present), Laura Linney (The Little Foxes), Laurie Metcalf (A Doll’s House, Part 2), Amy Ryan (Love, Love, Love), and Harriet Walter (The Tempest) were each recognized for their work in the Outstanding Actress in a Play category. Outstanding Actor nominees boast Bobby Cannavale (The Hairy Ape), Daniel Craig (Othello), Kevin Kline (Present Laughter), David Hyde Pierce (A Life), and John Douglas Thompson (Jitney) amongst their ranks. The Featured Actress and Actor in a Musical categories are packed with well-received performances. Kate Baldwin (Hello, Dolly! ), Stephanie J. Block (Falsettos), Jenn Colella (Come From Away), Mary Beth Peil (Anastasia), and Nora Schell (Spamilton) will square-off in the former category, while Gavin Creel (Hello, Dolly! ), Jeffry Denman (Kid Victory), George Salazar (The Lightening Thief), Ari’el Stachel (The Band’s Visit), and Brandon Uranowitz (Falsettos) compete in the latter. Featured Actress and Actor in a Play also are also exciting races, with Jane Houdyshell (A Dolls House, Part 2), Randy Graff (The Babylon Line), Marie Mullen (The Beauty Queen of Leenane), Cynthia Nixon (The Little Foxes), Emily Skinner (Picnic), and Kate Walsh (If I Forget,) and Michael Aranov (Oslo), Danny DeVito (The Price), Nathan Lane (The Front Page), Jeremy Shamos (If I Forget,) and Justice Smith (Yen) representing their respective categories. The Direction of a Musical honorees include Christopher Ashley (Come From Away), Bill Buckhurst (Sweeney Todd: The Demon Barber of Fleet Street), Rachel Chavkin (Natasha, Pierre, and the Great Comet of 1812), David Cromer (The Band’s Visit), and Jerry Zaks (Hello, Dolly!). Direction of a play nominees are Richard Jones (The Hairy Ape), Anne Kauffman (A Life), Richard Nelson (What Did You Expect?/Women of a Certain Age), Ruben Santiagio-Hudson (Jitney), Daniel Sullivan (The Little Foxes and If I Forget,). For a complete list of the 2017 Drama Desk nominees, visit dramadeskawards.com.